Sennheiser to upmix Pink Floyd's Comfortably Numb for V&A exhibition | What Hi-Fi? It's part of a Pink Floyd exhibition which opens in May, and marks the 50th anniversary of the band's first album. Expect music, art, design, sound technology and live performance. 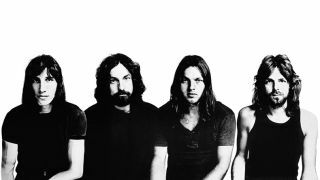 Sennheiser is to produce an upmix of Pink Floyd's classic track Comfortably Numb for an exhibition at London's V&A museum in May. The original version was recorded at the Live 8 concert in Hyde Park in 2005 - the last time the band performed live together. The mix will be created using Sennheiser's Ambeo 3D (18.3) audio technology. To celebrate the announcement, Pink Floyd's Roger Waters and Nick Mason made a rare public appearance together at London's Mayfair Hotel. The exhibition, which marks the 50th anniversary of the band's first album The Piper at the Gates of Dawn, takes the visitor on a chronological trip through Pink Floyd's history, encompassing music, art, design, sound technology and live performance.